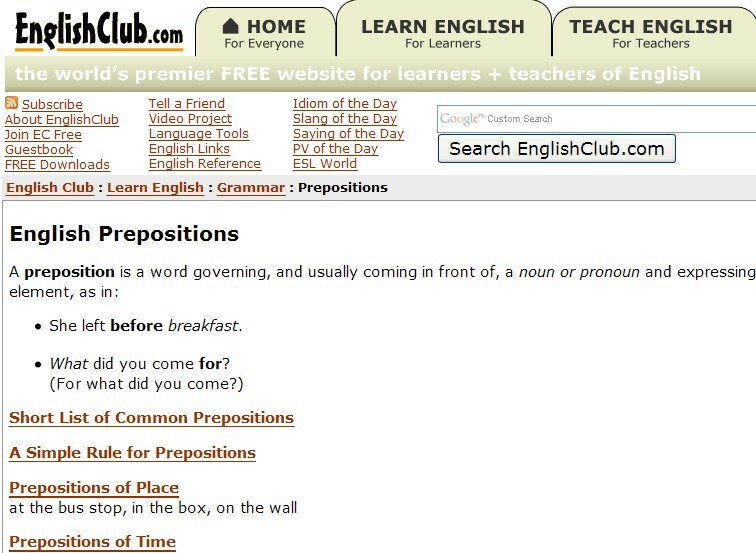 Prepositions are words like: before, at, on, inside, under, etc. Prepositions are very important in English. This study lesson gives you a list of common prepositions and lessons about prepositions of time and place.